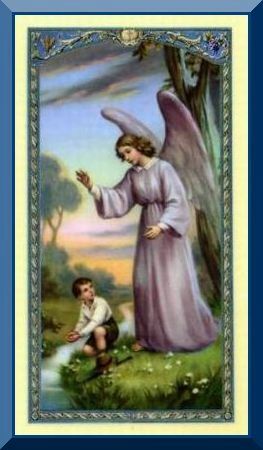 This Angel with Boy Holy Card is laminated & shows a Guardian Angel watching over a boy who is close to a river. It features the traditional prayer on the back. 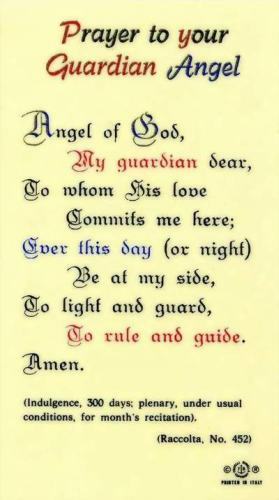 Text: Prayer to your Guardian Angel - Angel of God, my guardian dear, to whom His love commits me here; Ever this day be at my side, to light and guard, to rule and guide. Amen. Note: Select Photos tab above to see text on back of Holy Card.